Up and down the California coast, city planners and state officials will be faced with a serious decision to make in the coming decades. According to a recent study, if left unabated coastal erosion is likely to shrink beaches by upwards of 70 percent under sea-level rise scenarios of one to two meters. That doesn’t bode well particularly for homes and other infrastructure perched on coastal bluffs as rising seas slowly cut away at their foundation below. 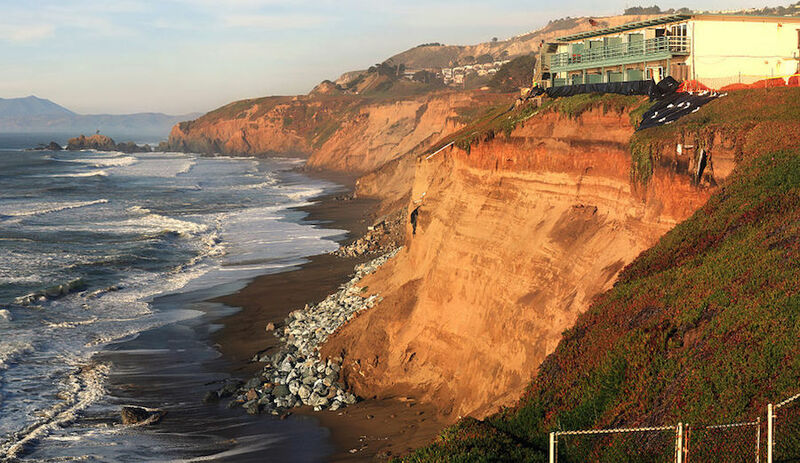 To save the homes will require erosion mitigation techniques like boulders and concrete walls, explains the study, at the expense of public beach access – a major priority of California’s landmark Coastal Act. Many California officials see the writing on the wall.